Perfect for anyone in or working business! A book I want to live out! 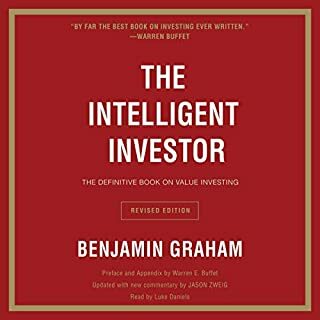 Where Financial Peace gave you the solid saving and investing principles, this book puts those principles into practice. You'll be exercising your financial strength every day and quickly freeing yourself of worry, stress and debt. And that's a beautiful feeling. 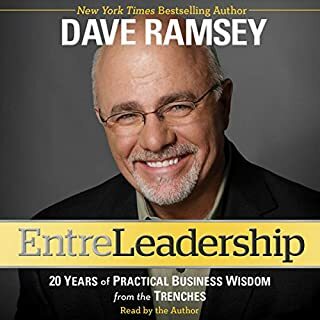 I couldn't decide between this book or Dave Ramsey's Financial Peace - i opted for this one given it was only 3 and a bit hours and i thought I'd get the highlights version. 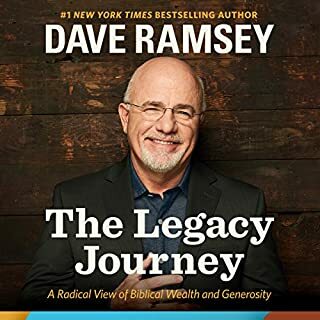 In hindsight i would have been better off buying Financial Peace as he skims over way too much and all i really got out of this book was avoid debt - which is kinda obvious Mr Ramsey! He does touch on his "baby steps" which had he gone into more may have been a help. It also takes a bit of getting used to being yelled at - but you do kinda get used to it by the end. Dave delivers an honest, step by step and powerful message on how to build and keep wealth !! Highly reccomend. 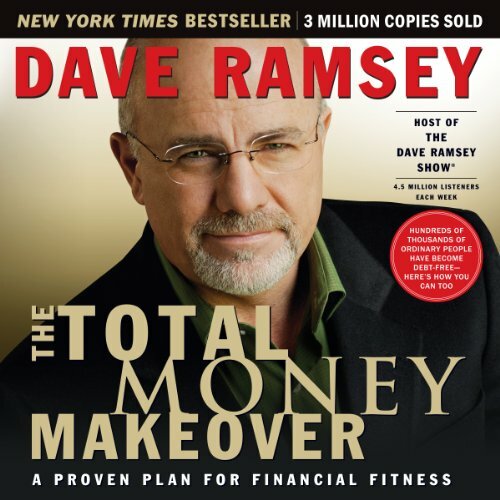 Would you ever listen to anything by Dave Ramsey again? This guy just isn't for me, so angry and treats his listeners like they are stupid, I couldn't take in anything he said because he was so angry. Great money wise but can’t stand all the GOD talk. Wish he wasn’t pushing religion into it! Overall good book minus all the Jesus/God references, but his points and information is correct and helpful. 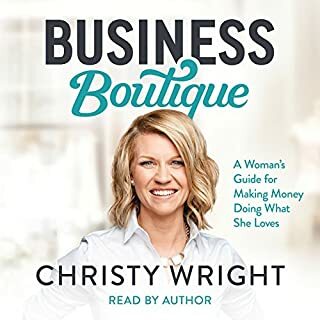 This is my first audible book and I loved it! very interesting and informative book and it was read really well. I will definitely be continuing my membership after the 30 day trial. Awesome book. Shifted my mindset and view about money and life completely. Highly recommend to everyone. I have business degrees from Wharton (BS) and Stanford (MBA), but like most Americans from middle class backgrounds, I never got much training in personal finance and always felt bewildered by it. I recently listed to The Total Money Makeover for the third time and it clicked. The first two times, I was still in school and had no income, so felt powerless to act on its lessons. Now, with a steady income (and some monstrous student loans) the lessons are relevant, actionable, and empowering. Before, I always felt at a loss when it came to budgeting. After re-listening to The Total Money Makeover, I got a second savings account to hold my emergency fund and long-term savings, making it easier to separate between current accounts and short-term savings. Now, I have an Excel spreadsheet with a separate column for each upcoming pay check. I know how much of each paycheck will get immediately transferred into long-term savings (e.g. for a wedding in the fall), how much will go to short-term savings (e.g. for next month's rent), and how much disposable income I have in my current checking account. Furthermore, I have a better plan for paying down my debts. If I were to approach this according to the pure net present value financial principles taught in school, I would start with my big student loan (highest interest rate), then my smaller student loan, then my car loan (lowest interest rate). After listening to Ramsey, I'm going to do it in the opposite order. Although that will cost me some in NPV, it means I can pay off my car loan in a few months (freeing up $250 per month in cash flow), and can pay off my smaller student loan in a few years. My larger student loan is the size and duration of a mortgage, and I'll treat it like it's one. If I tried to pay it off first, I wouldn't see any impact on my cash flow for probably 14 years, making it discouraging to try to find extra dollars to put towards paying down debt. Trying this the Ramsey way, I already feel like I'm making progress and am motivated to do more. Dave Ramsey is an inspiring speaker. Although his message may come across as simple, in my opinion it does a far better job taking into account human nature than any of the sophisticated financial and economic models I spent so much money learning. I can't recommend this book enough. 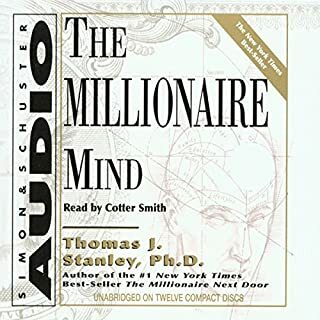 Where does The Total Money Makeover rank among all the audiobooks you’ve listened to so far? I would give a B-. Gets to the point, gives good metaphors and easy to follow. What was one of the most memorable moments of The Total Money Makeover? Metaphors used to describe steps or missteps are very memorable and applicable to most people. What about Dave Ramsey’s performance did you like? No crying, definitely a few laughs. Mostly found myself quoting excerpts to others. I have. 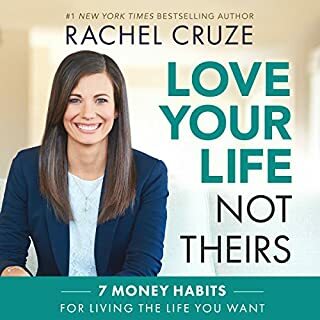 I am a financial advisor and every high school kid, anyone who wants to be out of debt, and anyone without 6 months savings should read this book. It teaches real money mangement. The step by step process to financial stability. He is truly passionate about what he does and is a motivating leader. I do not always agree with him, but he is right when it comes to managing money. this is a must read and top ten book of all time for me. Total Money Makeover doesn't give any information that isn't already available on Ramsey's website. it just adds anecdotes about people succeeding with the method. Some people have remarked that they don't like the tone of this book. 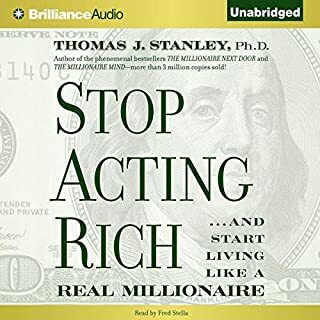 If the author seems a bit "brash", it's only because he's attempting to highlight the level of insanity with which most people approach personal finance. Take a look around you. The guy you work with who just bought a new Hummer. Your sisters' friend who just moved into a $800,000 home. They must be doing great, right? WRONG. The truth is, they're most likely broke. They're high-income, low-net-worth people who are teetering on the edge of complete financial ruin. Rich people, don't do these things!! Well, that is unless they're really really rich. 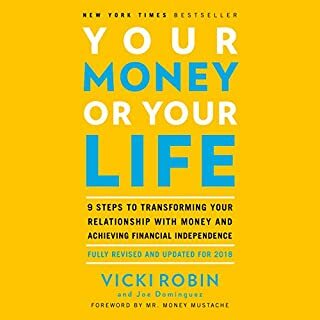 This book will change the way you think about money. When I see the guy in the new Mercedes now, I think, "Man, that guy has nothing in the bank". This book will make you proud of your old jalopy. After all, it's better to ACTUALLY BE RICH. Most Americans WISH for financial security and DO everything they can to make sure it NEVER happens. I think this is a level of insanity that warrants a brash tone. 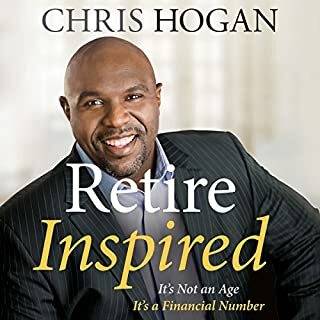 If your ready to get real about your finances, this is the only book you need to read. Even if you might not adhere to Dave's plan exactly, the idea of slavery to debt and freedom from it are very motivational. I feel like the examples he uses are real life people and he doesn't use terms or language that is reserved for finance professionals. It really is a good, practical plan for getting out of debt via hard work and perseverance. Even though his plan is not the best "mathematically", the point of getting some quick wins by paying off the lowest balance without regard to interest rate is a legitimate point. 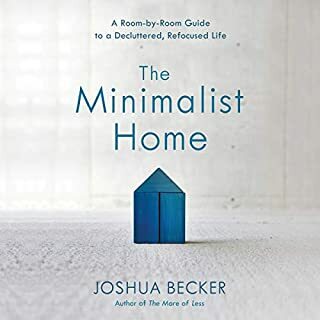 Honestly, you can hear most of the content of this book in his daily podcasts. I do recommend this book to people. Very good, wish it was available unabridged. This book is for those who realize that there is no "magic" in getting on top of finances. It is very practical in its approach. I'm done with the books, theories, and thinking that suggest that there are quick fixes to wealth. God, and much less, "the Universe" will not save you from your financial woes. Only hard work, serious budgeting, and self-control will. 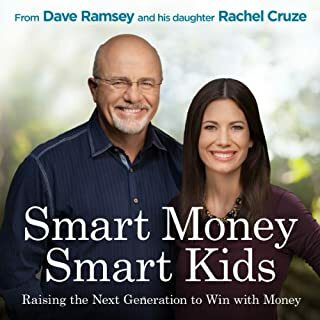 It has been less than a week sense my wife and I have listed to Dave's book and it has already changed our lives and how we look at our finances forever. Within these few days we have paid off almost $3,000 in debt with money that was "just laying around the house". We had no idea how good it would feel to break free from being a prisoner to some of that debt that we have been paying on for years. It is so liberating to finally take charge of our money and actually have a plan. We have listened and read many financial books in the past but NOTHING and I mean NOTHING has gotten us this excited. It has actually given us more hope than we have ever had about changing our financial future. My wife and I have even grown closer because we are working on our finances together as a team for the first time. Every day we get more and more fired up about "The Total Money Makeover". We will never look at money and debt the same way again. If you are reading this review trying to decide if you should buy this book, DO IT AND DON'T WAIT! This book is worth every penny and then some. If you are ready to take control of your life and ?live like no one else? get started right now. Great book showing a simple, common sense, approach to getting free of debt. It's not easy. You'll have to sacrifice and live like nobody else but end the end you will be able to LIVE like nobody else! This is a quick update to those in need of hope. I wrote a review back in June last year and now wish i could give this book more than 5 stars!!! We are now debt free, thanks to Dave's principles layed out clearly in this book. great advice. strong American biased but the basic plan is sound where ever you live. Although not totally in sync for a U.K. audience (different terminology, investments, etc) you can work around that. The principals however are spot on, having an emergency fund has totally changed my thinking about money and the budgeting to zero each payday is brilliant, I now have money at the end of the week while still having the payments allocated in sinking funds instead of spending it if they didn't come out of my bank. 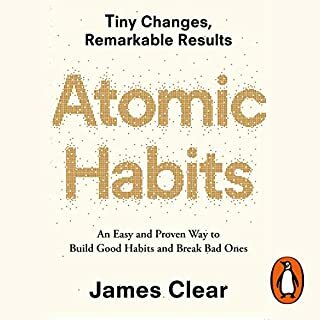 All in all, highly recommend, a great way to look at the way you deal with money. Best Financial Management Book EVER! 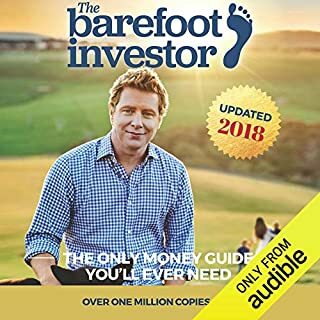 I have searched for years for an easy to follow book that would help me get out of debt, manage my money better and help me to build long-term wealth and I have finally found it, thanks to God! As a single parent, with debt up to my eyeballs and a business, I knew that things had to change if I didn't want my daughter to suffer finacially but I didn't know how to change it. 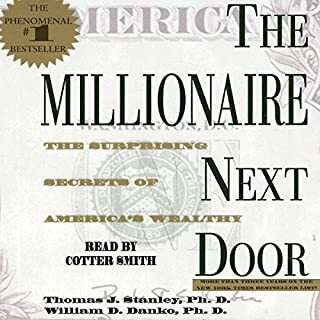 I have read Rich Dad Poor Dad and other property investment/financial advice books but there was always a catch of having to go to a 'paid' service to find out more or to start applying knowledge - this book is different! I have spent the last 4 hours listening to the book and was able to start the process of the 7 step plan as I was listening. 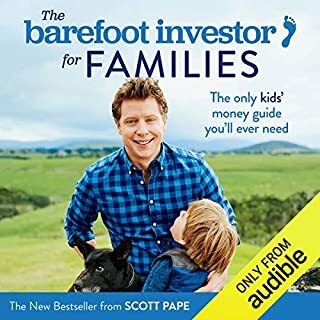 Hearing the story about another single parent and others who, like me, were in terrible financial positions and how they have been able to become debt free and start building wealth is exactly the motivation I needed to start taking ACTION. 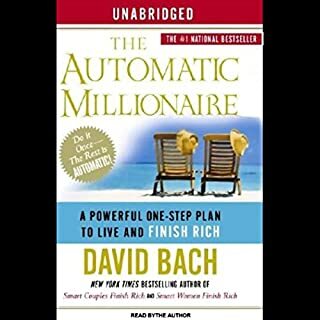 All of the steps are easy to follow and while they require effort, have transformed how I view money and given me the order in which I should tackle my financial problems - which is something most other books lack. I can see very clearly now where I should be focusing my efforts and why. Moreover, I now feel empowered to make better financial decisions and it has actually saved me from making another costly mistake to the tune of £18,000. I'm now going to invest in the Financial Peace university, which at only $129 is the most affordable financial program I have ever come across. I am so grateful to God for answering my prayers and for finally helping me to take accountability and responsibility for my financial mistakes. I'm ready to be wealthy! #poverty2prosperty here I come! Very straight forward advice that anybody can follow and become wealthy get out of debt save for retirement etc. The advice is very american-based which is obvious as he is from the US but it translates very easily to the UK so can still be followed. I loved the baby steps, so easy to take on board and digest. I admit it would take most people a while to go through all the steps and reach the stage where u get to "live like no one else because u've lived like no one else"but the goal definitely seems worth it. 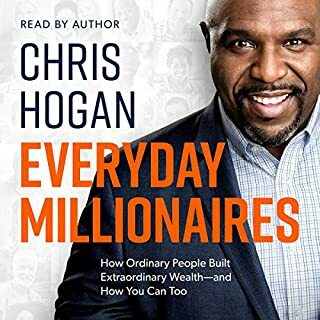 If you are tired of living life payday after payday and never seeming to have any money then I highly recommend this book. It is a tried and tested method that so far has worked wonders for me! Found myself listening to this in hour or so chunks, the chapters are broken down nicely and feels like one I'll keep referring back to! Despite the book being aimed at America's financial structure, there is enough there without external research to set a decent budgeting system in place. all my life I've been told that debt its part of life and have always thought that it didn't feel right. Daves book just makes sense and confirms my initial thoughts this book has opened my eyes up and realised what my journey in life is now before listening to this book I didn't know what the future held for me I had so many stupid broke people telling me I should do this I should do that all of which confused me and would have lead me to also be stupid and broke. I can honestly say Daves SIMPLE baby step program has changed my life. I WILL be debt free, I WILL be wealthy and i WILL take control of my life. If there was ever a book other than the King James Bible, this is a book that everyone on earth should read at the earliest age possible. This book is nothing less than revolutionary. I just finished this book for the second time. Make that a third time listening. Just finished thus book for the forth time. brilliant advice and straight forward plan of action to fix our broken finances. PS, I have just finished this book again. Brilliant book just brilliant.